I’m anxiously awaiting the clock to hit 5pm so I can dash out of the workplace and begin my weekend. There’s cooking to be done, beer to be consumed and cooler weather to enjoy. None of that can be done while sitting in the office, keying my life away. OH, did I ever tell you guys that I have social anxiety? It’s a funny not so funny thing that I’ve dealt with since middle school. Maybe I’ve dealt with it longer but I really remember it kicking into high gear while I was in middle school. Teenage years, gotta love them. Social anxiety is so strange for me. I feel like a total social butterfly trapped inside of a total non-social butterfly body. If you ask anyone I know or work with how they would describe me, they will tell you I never shut up and that I will talk to anyone. In a sense, I do. But typically, it’s after I’ve gotten to know people. I have to let that comfort zone set in. The internet is a total comfort zone for me and I talk, chat, socialize and network more than I ever would in person. Take BlogHer Food, for example. I went earlier this year. I told myself I would talk to EVERYONE. But I didn’t. I clammed up. I stuck to myself for a good duration of the event. I didn’t network to the level I should have networked. And I kind of regret it. So my goal for next year: Go to a blog conference and be that social butterfly that is trapped inside my non-social butterfly self. Yeah! This is totally me whenever anyone calls me on the phone. I’m a texter, not a phone chatter. ON THE BLOG: I shared these Spicy Asian Chicken Meatballs and this Apple Pie Butterscotch Snickerdoodle Bread. For your healthy side, I shared this Roasted Tomatoes with Eggs and Quinoa breakfast recipe. 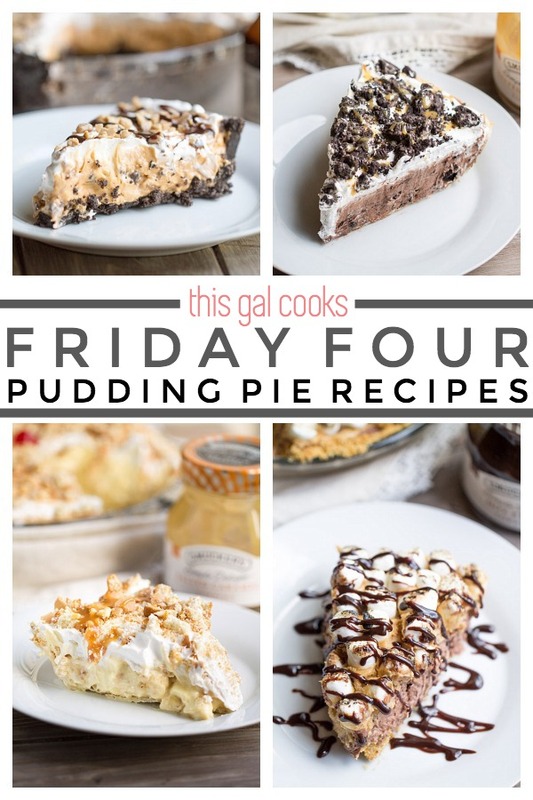 Today I’m going to share Four Pudding Pie Recipes with you. All of these Pie recipes have been made by me. I’m pulling them from the archives to share with you in one convenient spot. The weather is nice and the windows are open. We’re in for a nice weekend. I love fall in Florida and I’m glad it arrived a little earlier this year. I hope you have a good weekend, too. And enjoy the pie recipes! First of all, these pudding pies look PHENOMENAL. They look so decadent! Second, I’m sorry to hear you struggle with feeling comfortable in social settings. That would be stressful and difficult. I feel similarly at times – I don’t like going places where I don’t know people and worry that I’ll be awkwardly standing by myself if I don’t have a buddy with me. I’ll be at 2 blogging conferences next year and won’t know a SOUL. I’m already kind of panicked a little. If I see you at either, I’ll grab you and we’ll become fast friends! :) I hope you have a wonderful weekend! TGIF! Thank you for the compliments on the pies, Sarah! That’s how I am. If I’m with someone else I know or a group of friends, I’m fine and I can talk to people and feel at ease. If I’m solo, it’s very hard to do, for the most part. I force myself to look at people and say hi when I’m alone, say our walking my dog and passing by neighbors, etc. I’m usually not the one to be the first to approach people, either. It’s something I SO want to chance but it’s hard to do! Which conferences are you going to? Are you going to try to go to Food Blog Forum in Orlando? If I can get tickets, I’m going! I think that’s hard to do for most people, and some people are inherently more shy in nature! Totally understand where you’re coming from. It’s good to talk it out openly though and maybe you’ll overcome the fears more! I’ll be at SNAP and Build Your Blog, and I’m honestly going to try for a ticket to Food Blog Forum too since it’s right in our neck of the woods here in FL!! Hopefully I’ll see you there! OMG, I did another one on FB the other day. My friend totally had fun with it to. Of course, when I realized what I did, I corrected it so there are some comments that don’t make any sense. Haha. You and I might be the same person. Or maybe we share a spirit animal. Is that creepy? In a not-creepy way. This is exactly how I describe myself: “I feel like a total social butterfly trapped inside of a total non-social butterfly body.” Glad to know it’s not just me! 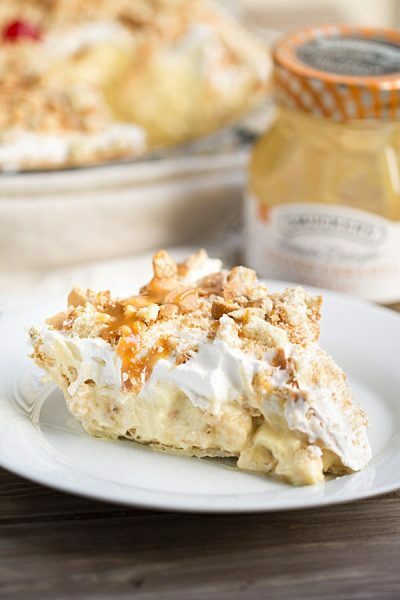 Also, that Butterscotch Toffee Pudding Pie – I have to make this happen in my life! Amazing. Oh, those pies. I want to go make all of them right now! Okay, no. I just want to eat all of them right now! I know what you mean about the social anxiety. It runs in my family. Every time we’ve moved to another state, I’ve had to force myself to pretend to be this outgoing person so that I can make friends. At the end of the day, I’d still rather be at home with a good book and some hot cocoa. It’s not easy! Same here. I do like to go out but for the most part, I like to do things solo, at home. OH and I know the feeling – whenever I pass by neighbors, I have to force myself to say hi and be somewhat social. Totally not easy. Thanks so much for stopping by. Hope you had a good weekend! I don’t have social anxiety, I love parties and functions and such. Sometimes, I’d just rather be home, I don’t mind being by myself. I don’t want to be social 7 days times a week anymore. My husband on the other hand thrives off people, the more the merrier! Ryder’s just like him too. The good thing about having kids is they break the ice for you more times than not. Anywho…. so glad you and Carrie worked out a deal! That’s pretty dang cool! Can’t wait to see both your pics with the new cameras! Haha, one of my friends is not very social. One of her sons is like her, the other one talks to EVERYONE! She said she’s thinking “don’t talk to those people because I don’t want to have to talk to them.” LOL. Hi Julie – These pies are killing me!! My hubby and I met friends for dinner, and I ate diet butterscotch pudding for dessert. Al pies look amazing and I’m sure they are delicious! I’m planning to try the butterscotch toffee recipe as I love this particular flavor! Have a great weekend! Thanks, Mira! I hope you enjoy the recipe and I hope you had a great weekend, too! I’ve all things pie and these look like winners. These pies all look fabulous. I’ve pinned all of them. Thanks for sharing, Julie. You’re welcome, Teresa! Thanks for stopping by and for pinning, too! I love your Friday Four series! Your always post the best of the best. These pies are absolutely wonderful!! Oh MY! 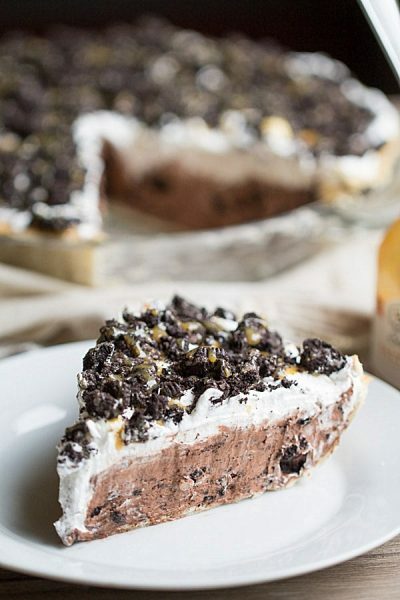 That Cookies & Cream Chocolate Pudding Pie! YUMMM! Great candid post, Julie. I may have said this to you before, but I think we quite possibly could be long lost twins. I am exactly like you on the social front – probably no one would know because I come across as friendly and mostly bubbly, but I really don’t like to answer the phone or make phone calls (at all) and clam up on social occasions with loads of people – especially people I don’t know. You’re right though that it’s good to stretch yourself in that area sometimes. It helps that my husband isn’t really like that, so being with him gives me confidence. OK, now I’m off to check out your Asian meatballs … they sound amazing! Hope you had a good weekend Julie! 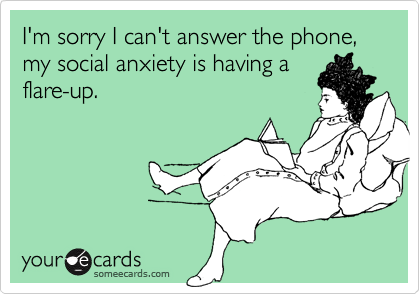 Having social anxiety is no fun but I know you will conquer that by the next Blog Her conference and get out there to make connections you want! I’m more comfortable when I get to know people so meeting folks on-line is good then if we ever met in person, it wouldn’t be starting from scratch! :-) Have a great week!! Thanks for the encouraging words, Deb! Hope you have a great week, too! Geeze I love pudding! 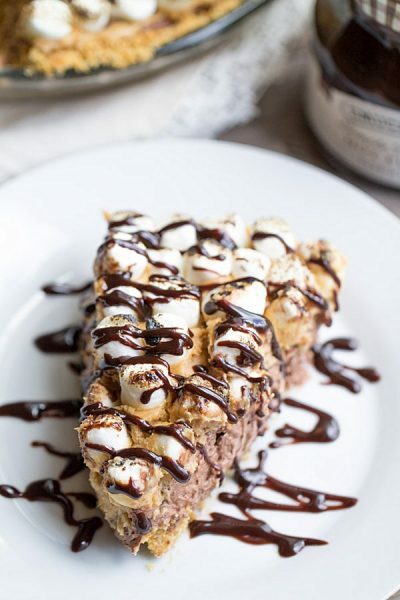 What is cool about these recipes you can eat them as pie or pudding. Wonderful array. I am wild about all of them. I love pudding any way, even when it’s scarped from the bowl. 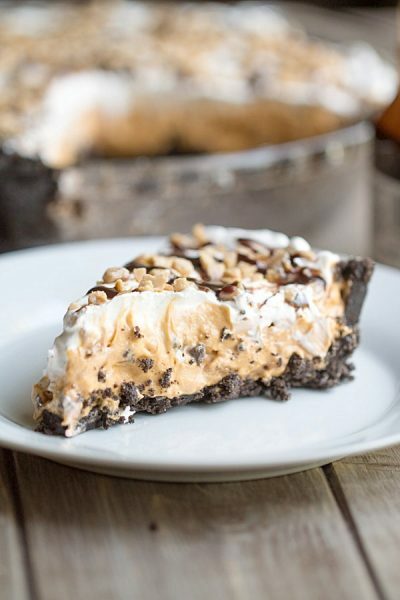 Cause you know I am scraping the bowl clean after I make one of these pies! Thanks for stopping by, Carol!